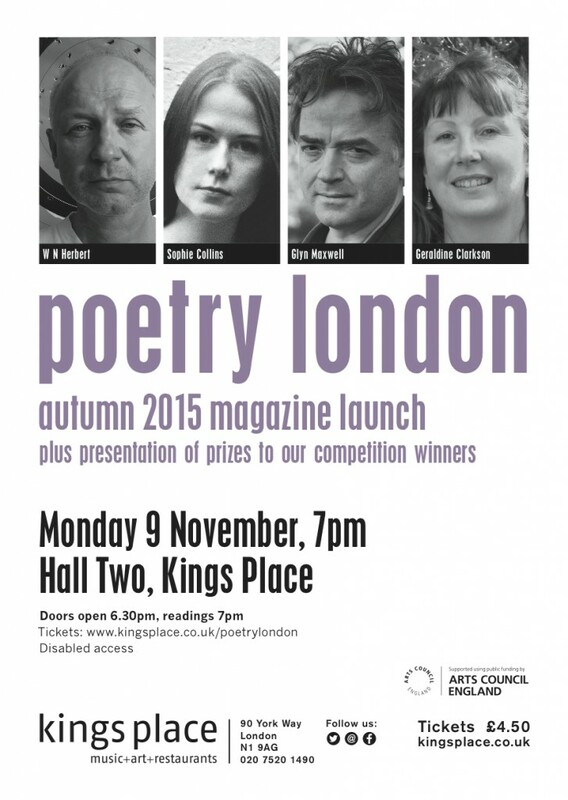 Poetry London will be launching its Autumn 2015 issue at Kings Place on Monday 9 November. The launch will offer a unique opportunity to hear some of the magazines most distinguished contributors, as well as the prize-winners from the Poetry London Competition 2015. Introduced by Poetry Editor, Ahren Warner, the evening will include readings from, W.N. Herbert, Sophie Collins, Glyn Maxwell and Geraldine Clarkson. Glyn Maxwell is one of the UK’s most distinguished poets. He has received awards including the Somerset Maugham Prize and the E M Forster Prize from the American Academy of Arts and Letters for books including Hide Now (2008) and Pluto (2013). He is the judge of the Poetry London Competition 2015. W.N. Herbert is a poet working in both in English and Scots, whose collections of poetry include The Big Bumper Book of Troy (2002), Bad Shaman Blues (2006) and Omnesia (2013). Twice shortlisted for the T.S. Eliot Prize, his work as an editor includes Jade Ladder, an anthology of contemporary Chinese poetry co-edited with Yang Lian. Sophie Collins is co-editor of online quarterly tender, and editor of translation anthology Currently & Emotion (Test Centre, 2016). She received an Eric Gregory Award in 2014. Registration offices Her first collection will be published by Penguin in 2017. Geraldine Clarkson is the winner of the Poetry London Competition 2015. Her poems have been published widely in journals, most recently The Poetry Review, Poetry London, and Shearsman. 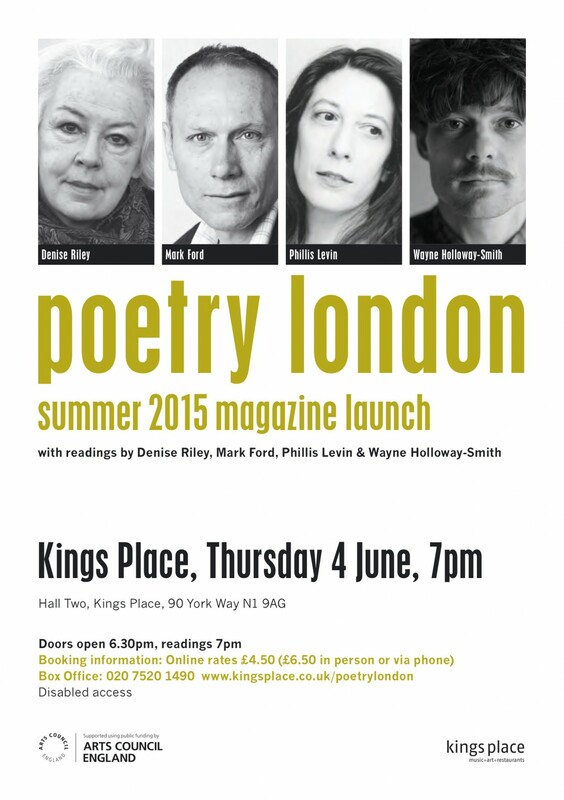 Please join us for an evening of great poetry, and stay for a drink with us afterwards in the Kings Place bar. Tickets cost only £4.50 and are available to purchase online now.